I often wonder as I’m cozy in my own home learning alongside my kiddos what the heck other homeschool families are up to! Do you ever wonder that? It’s hard building community and connecting in our society. 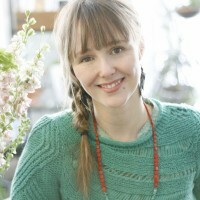 Add homeschooling into the mix and we can feel even more isolated without daily opportunities for support and connection. Why not build some community by sharing a bit about what you do? 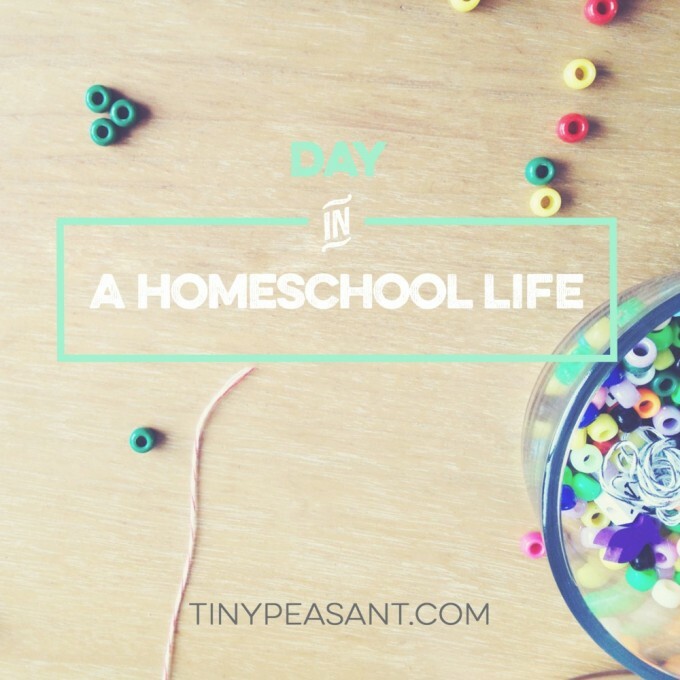 Join me for a series of blog posts called Day in a Homeschool Life where you share about your typical homeschool day – and also peek over the fence to see how other homeschool families roll. Or, maybe you have friends and family members who ask what you do all day? Here’s a great way to share what you do – and share a huge spectrum of approaches through what others are doing at home. Each response should be anywhere from a sentence up to a paragraph, barring the actual “day in the life” portion which can have as many points as needed! If you already have a blog post about your typical homeschool day, let’s make that work – it’s more important to me to build community and share our stories than have it all consistent. Note: If you would like to omit a couple of the questions (other than your typical day), that’s okay. Do what feels good for you. You don’t have to try to wrap up your entire homeschool experience in one list – if your days really change from week to week or season to season, pick a favourite day. Heck, pick yesterday! This should be a fun and stress-free experience! NOTE: Please feel welcome to include more personal beliefs in your post as they pertain to your homeschooling, and also please remember this is not a platform to promote beliefs, favourite causes, etc. 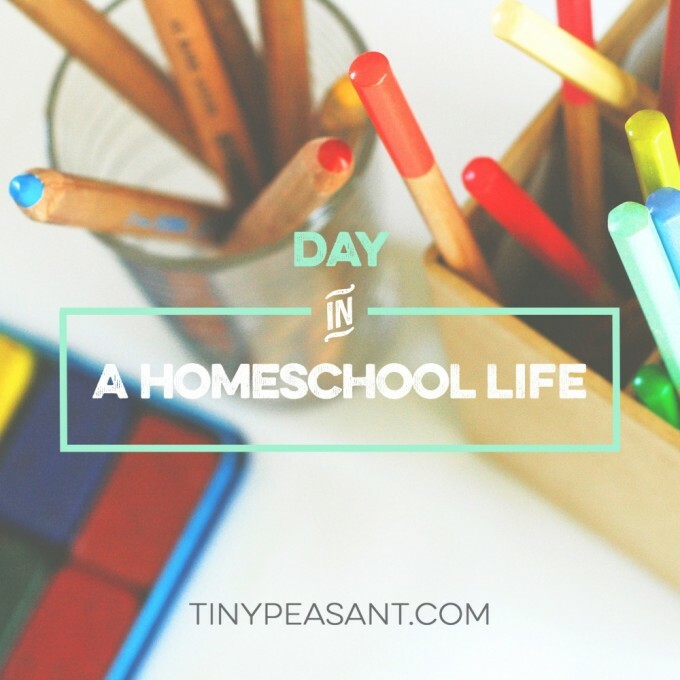 Remember, some of us may have experienced something close to a perfect homeschool day at one time or another, but none of us has it all down. We can be inspired by hearing the struggles of others and knowing that we aren’t alone in being imperfect on this journey! Tell us who you are, the ages of your children, and if you’d like, a bit about why you learn at home. Please remember to keep this about you and not an anti-school kind of thing! Lots of our readers have children in school – I have one child in school myself. Thanks! 1. What method of homeschooling do you practice? 2. Do you use a curriculum? If so, which one? 3. Describe a typical homeschool day (or just a favourite day) for your family. Or, as you might have been asked – What do you do all day? 4. What is your favourite homeschooling resource – book, website, etc.? 5. Greatest joy in homeschooling (can be broad or a specific moment)? 6. Greatest struggle with homeschooling (can be broad or a specific moment)? 7. How to you manage homeschooling and regular household stuff? Any awesome tips? 8. If you’re new to homeschooling – what would you like to ask more experienced homeschool parents? If you’re a veteran, what nugget of wisdom can you offer to those starting out? Must be at least 680 pixels wide. A photo of you would be wonderful, but is not necessary. And 1-5 photos related to your homeschooling. These in no way have to have your children in them or their faces – it could be of your homeschool book stack, for example. Or something to do with your regular homeschool rhythm. I will edit posts for basic typos, but will not edit actual content. Photos may be brightened up if necessary (please let me know if your photos must not be lightened/brightened). If you have a blog you’d like me to link back to, please include the name of your blog, what it’s about, and the link in your submission. // Commenting on other contributor’s posts – support, encouragement, responding to their homeschool question from #8, etc. 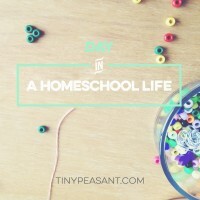 // Also feel free to grab one of the Day in a Homeschool Life badges at the bottom of the page to post & link on your blog or share on social media. The images are linked, but here is the link just in case. Thanks for participating in this project!